We begin the process of natural soap making by learning about the ingredients you’ll use. Oils, butters, essential oils, botanicals, and of course Lye. The series continues with an introduction to the equipment you need and soap making safety, a few basic recipes, how to formulate your own recipes, and finally a piece showing how to make handmade soap. If you’d like a sneak peek, watch the video below. 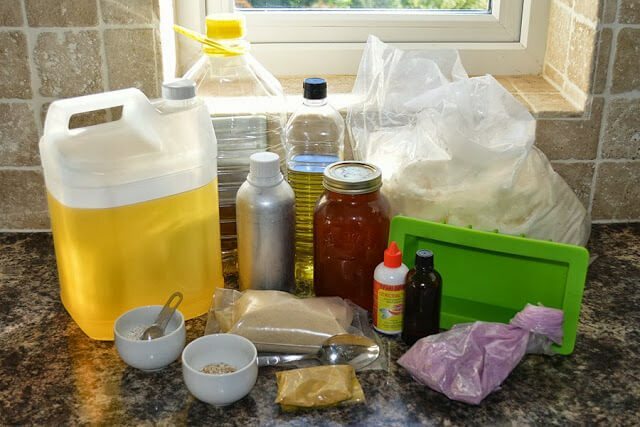 Through trial and error, a lot of time spent scouring the internet and books, and quite a few unsuccessful batches, I now have a successful process and a great range of products. Most of my soap is now destined for shops around the Isle of Man and for direct sale to customers. Some of it is used at home in the bath, kitchen, and even laundry. 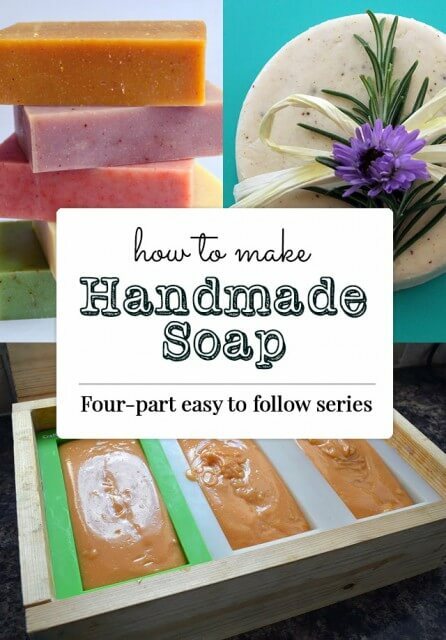 I now love sharing tips on how to make natural soap and created this series to show you how too. For me, making natural soap means avoiding the use of any ingredients that could be toxic or are manufactured in ways that use questionable substances or methods. This means that I personally don’t use artificial dyes, perfumes, or additives in my own soap. While some people might want to try to make soap for fun and aren’t too fussed about using all natural, my thoughts on the subject are that if you’re going to go to the effort of making handmade soap why not make a product that is going to be completely safe for you, your friends, your little ones, and your entire family? What is soap made from? Most people ask me how to make soap but maybe the first question that should be asked is ‘What is Soap’? At the heart of all soap recipes are two main ingredients: oil and lye, also known by its chemical name Sodium Hydroxide. Your soap making recipe will, through a simple but controlled process, chemically bond these two ingredients into a new compound – Soap! I’ll go through the process in a later post but let’s first look at your ingredients. The below is only meant as an introduction to your options and each section could be expanded upon with enough information to literally fill books. 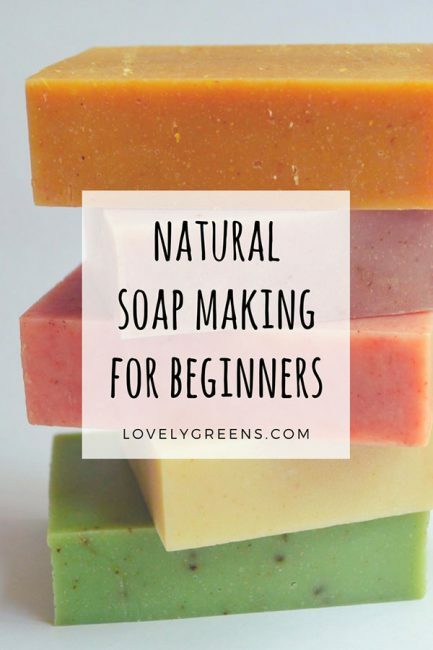 If you’re looking for places to find soap ingredients please sign up for my free newsletter — you’ll receive an e-book on clever places to find natural and inexpensive soap making ingredients. Right, let’s talk lye. I’d like to start off by stating that you absolutely cannot make your own soap without lye. A lot of people shy away from making soap due to experience with the harsh lye soap their grandmothers made or because the thought of putting caustic soda into personal care products scares or puts them off. As I shared above, soap making is essentially the chemical reaction between oils, which are acids, and lye, which is a base. Together they will form a completely new material which will be gentle and nearly neutral in PH. If you’d like to make soap but are still feeling a bit unsure about handling Sodium Hydroxide then I’d suggest that you look into purchasing ‘Melt-and-Pour’ soap. This material is pre-made soap and will come in blocks or cubes that you can melt on your stove or in the microwave and then pour into molds. Water is used to help activate the lye and disperse it through the oils. However, there will be no water left in your bars of soap by the time you use them. The water will evaporate out of your bars during the four to six week curing process which will leave your bars slightly smaller and harder than when you first took them out of their molds. As a beginner, use the water amount shown in the soap recipe you’re about to use. This will usually be formulated to give you a 33-38% lye concentration. As you get more experienced you can water discount your soap batches but I don’t recommend you do this at first. Trace time can speed up and the shade of the soap may differ from what you expect. Any oil or fat can be used to make soap and in your own recipes you can use anywhere from a single oil to a dozen. But when you’re just starting out I’d recommend sticking to just three to five. Soaps made from a single oil, such as Castile (olive oil) soap can be tricky to master and choosing more than a handful of oils can be expensive. Beeswax – Beeswax Vegetarian but not Vegan, this wax will add hardness to your soap and a beautiful scent. Use only small amounts of beeswax in your recipes since it stops lathering at larger quantities. 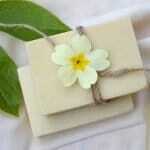 Cocoa Butter – Organic Cocoa Butter provides gorgeous moisture and skin protection and also helps to harden your soap. Use in smaller percentages as a ‘superfatting’ oil. Coconut oil – Coconut Oil creates a hard bar with loads of fluffy lather and cleansing power. Olive oil – Olive oil Pomace soap made with olive oil is sensitive, conditioning, and great for all skin types. Palm oil – Palm Oil a great oil for soap making but one that is very controversial. Palm plantations in south-east Asia have led to devastating deforestation and loss of habitat for animals such as Orangutans. If you choose to use Palm oil please consider using oil that’s been certified as sustainable and try to learn more about where exactly its being grown and by whom. Shea Butter – Shea Butter An interesting oil since it has more difficulty turning into soap than other oils and will often stay in your soap as moisturising butter rather than soap. Use in smaller percentages as a ‘superfatting’ oil. Sweet Almond oil – Sweet Almond Oil used for its light feeling and ability to moisturise and condition the skin. Use in smaller percentages as a ‘superfatting’ oil. When formulating your recipes you’ll first choose oils that will make up the bulk of your recipe, such as Coconut and Olive oils, and those which will be used to ‘Superfat’. Superfatting means adding extra oils at the very end of your process that will be free-floating rather than combining with the lye and transforming into soap. Superfatting makes the difference between a bar of soap that’s cleansing and a bar of soap that’s cleansing and moisturising. Preservatives are only used in ‘wet’ products since water creates a habitat where bacteria can grow. Soap does not require preservatives since the water that you use in the recipe will evaporate out. If you’re Superfatting your recipe (which you should definitely do) then what you will need is an antioxidant to help free-floating oils stay stable and not go rancid. There are two main antioxidants that soap makers use in very small quantities at the very end of the soap making process. Grapefruit Seed Extract (GSE) – Grapefruit Seed Extract extracted from the seeds and pulp of grapefruit this thick and clear liquid doesn’t add a scent to your soap and is very effective at keeping other oils from spoiling. Rosemary Oleoresin Extract (ROE) – Rosemary Oleoresin extracted from Rosemary leaves and quite a thick and strong smelling herbal liquid. Some people will choose to let their soap scent speak for itself and leave it to smell like simple, clean, handmade soap. Another idea is to use oils in your recipe like sesame or beeswax since they will impart their own unique and natural fragrances. I create an unscented soap that is fragranced with only the natural aroma of oatmeal and it’s proven quite popular with those suffering from extremely sensitive skin or reactions to fragrance of all kinds. Personally I enjoy soap that’s subtly scented and leaves your skin smelling lovely. 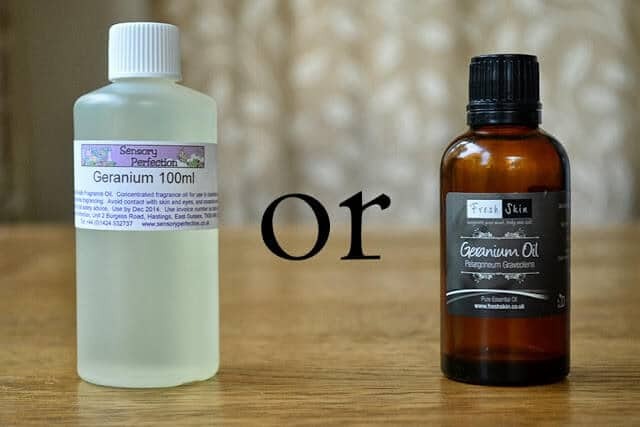 I’ve used essential oils in my soap from the the beginning but have also experimented with using ‘Fragrance oils’, which are commercially produced perfumes for the toiletry industry. Both have their pros and cons but if you like the idea of scent that has therapeutic powers then I’d suggest you’d stick with essential oils. Some have powerful medicinal properties and can help heal the skin or clear your sinuses and airways. The downside of using essential oils is their expense and propensity for fading with time if you leave the soap sitting in the open or in direct sunlight. This can be especially problematic for citrus essential oils such as lemon and orange. To learn more about what percentages of essential oils to use in your recipes visit this page. Fragrance oils on the other hand are relatively inexpensive, have scents that last ages, and have a much more varied range to choose from. If you like baby powder scented soap or a shampoo that smells like coconut then you’re going to have to use fragrance oils. The con of using them is that they are trademarked and patent protected artificial perfumes that you’ll never truly know the contents of. In many cases fragrance oils are made of petrochemicals and allergens that cause people to sneeze or have skin reactions. Using fragrance oils in your soap also means that your product will not be ‘natural’. In the end it’s your choice to use one or the other but I urge you to do a bit of research before making a decision. Above I mentioned that the scent of essential oils can fade over time but there are ways to ‘fix’ the scent so that they’ll last longer. Sometimes another essential oil can help the others to stick and at other times it’s best to use another additive that works to absorb the essential oils into it. Oatmeal – this is one that I’ve discovered on my own. Using fine blended oatmeal in your soap will add light exfoliation and will absorb and hang onto your essential oils. Essential oils – May Chang (Litsea cubea) and base note essential oils such as Cedarwood, Patchouli, and Balsams are all great at grounding the other essential oils in the blend. May Chang Oil, Cedarwood Oil, Patchouli Oil, Balsam Fir Needle Oil. 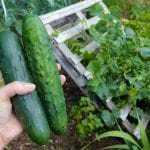 In natural soap making you have several options for coloring your soap which will include powders you can purchase from specialty suppliers and even flowers and plants that could be growing in your garden right now. 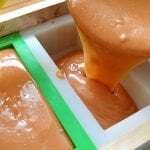 Your other option is to choose oils that will impart a natural hue to your soap or to use ingredients that will caramelise and give a warm color to the finished product. For an extensive list of natural ingredients you can use to color your soaps, head over here. Below are the categories these natural coloring agents belong to. Oil Selection – some of your oils, such as olive oil, will impart a more yellow or creamy color to your soap, while white and/or light colored oils will create white soap. Clays – though limited in palette to just pink/red, green, and white, cosmetic clays can add beautiful natural color to your soap. Clays also help to lightly exfoliate and detox the skin. Minerals & Micas – Mineral and Mica powders are available in a wide range of colors that can help you hit most of the hues of the rainbow. Please note that while these cosmetic materials can considered natural they are both created in a laboratory environment. That makes them more accurately labelled as ‘Nature identical’ rather than ‘Natural’. Minerals and micas are found in nature but are often tainted with unsafe heavy metals and are unsafe to use. That’s why they’re reproduced in a controlled environment. 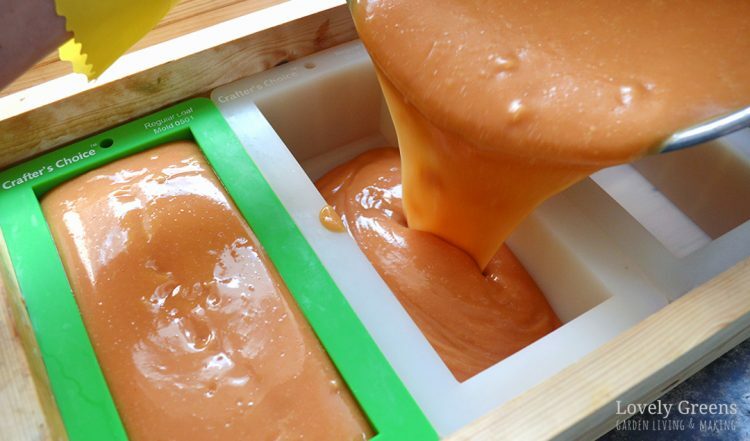 Sugars – milk, sugar, and honey will caramelise if you add them to your batch before trace. They’ll do the same thing if your soaping temperature is warm enough — over 105F in my experience. Herbs, Flowers, & Roots – Nature creates all types of wonderful colors useful in soap making. Use calendula petals for golden orange, alkanet root for purples, and Madder root for pink. I even have a soap-maker friend who uses fresh Spinach to give her soap a brilliant green hue. Learn more about naturally colouring your soaps over here. The word botanicals simply means natural fruit, flower, leaf, and root additives that impart either color (see above), visual interest, or exfoliation to your soap. There is some conjecture as to how much of the original properties found in these ingredients survive the soap making process but you can try adding them to your recipes and judge for yourself. This is again a more advanced area of soap making and completely optional. Botanical oils – mainly used in the superfatting phase and may include rose-hip oil, neem oil, and borage Seed oil. With the exception of neem, it’s my opinion that the addition of these oils to soap might be a waste since their beneficial components can be destroyed by heat. Probably save them for making handmade lotion and cream. Dried Fruit & Spices – lemon and orange slices, peppercorns, and cinnamon sticks are just some of the items you can add to your soap to create holiday or scent themed designs. Others, like Turmeric powder, can also provide vibrant natural color. Exfoliants – Rolled oats, ground almonds, and ground pumice stone can all be added at small amounts to create a more scrubby soap. Herbs & Flowers – these can be used to both decorate and tint your soap. Use infusions of flowers and herbs in place of some or all of the water content and feel free to use dried flowers on both the tops and interiors of your soap. A word of caution though in using flower petals – most will discolor during the soap making and curing process. If you’d like lovely color from your botanicals, make sure that that they’re ones that will stay true. You’ll see some lovely soap out there that use pretty rose petals and lavender buds on top and think you might want to do the same. If you decide to go down this route be prepared for them to turn brown in a very short period. Roots – there are various roots with medicinal value that can be used in soap making but again, the effectiveness of the active ingredients can be questionable in your final product. alkanet and Madder root are roots used purely for color and are added either by infusing liquid oils with the dried root or by adding a powdered version of the root directly to the soap. 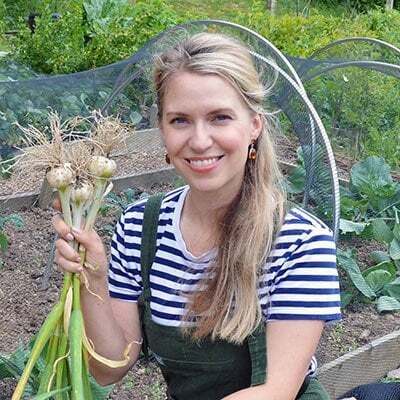 First of all I encourage you to pop into your local bulk foods wholesaler or cash-and-carry and see what they have on offer since you can often get a much better deal with them, especially with food grade oils, than with specialty soap and beauty suppliers. Always make sure to check the best by date of the oils you’re purchasing. Often times the oil in supermarkets can be close to their expiration date. 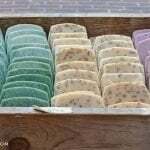 Using old oil in soap making can lead to a lot of issues from dreaded orange spots to a short shelf-life. Secondly I’d like to emphasize is that it’s easy to spend a small fortune when starting out making your own soap. 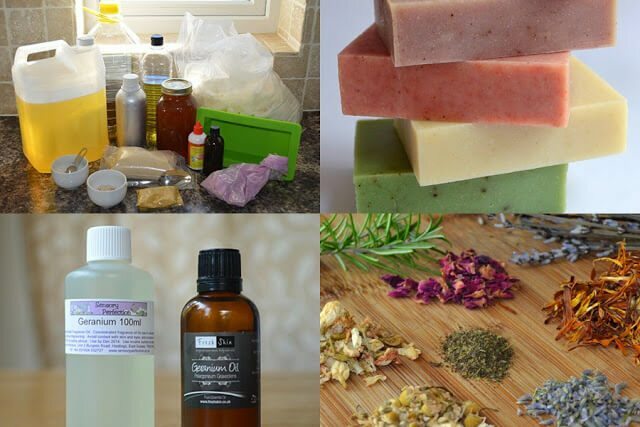 You don’t need much to get started so try to resist purchasing expensive oils and equipment until you’ve made a few batches and have decided that soap making is for you. You can continue on to the next three parts of this series through the links below. Have a watch of the below videos to see how to make simple batches of soap. I ran across your site from Pinterest. I have 2 daughters, 3 and 7. The three year old LOVES making stuff with me. Are there any ways to make soap naturally that are safe to let the three year old do as well? I make candles and cant let her join due to having to boil water and how hot the melted wax gets. I’m not wanting her to get burned. I’m interested in the one made from beeswax. Should I stick with kits or are there home made ways to let my 3 year old join in without worrying about her burning herself? Unfortunately bath bombs aren’t great for skin prone to eczema — avoid all of them, purchased or handmade. The bicarbonate (baking soda) and citric acid in them strip the skin’s protective mantle and can cause irritation. As for soap making, your outlook in getting your kids involved will set the tone. I was sewing, using knives, and up to all sorts by age 5 but was taught to handle everything with respect. Make candles with your kids if you’d like, or try melt-and-pour soap. If they get a slight burn from hot water, which is unlikely with your supervision, then teach them that it’s a learning experience. I really love the properties of coconut oil and the scent of coconut. Could you recommend a recipe for a coconut soap? I have tried myself soap making, although i was successful in making good and hard soap bars but not foaming and no smell i used Caustic soda, distilled water, single vegetable oil, and lemon, sugar, salt as additives,Can you help with those problem? I have a weird attraction of soap fragrances and textures. Wish I could start making my own herbal soaps. I have bookmarked your post. Have you also written to make bath bombs?? I am SO happy to have found your page! Your posts, blogs are very informational and you truly explain things so well. Thank you! My question is about coconut milk, or any plant based milk. Powder or liquid? How would either be used? I feel like you probable already answered this question so I feel bad asking it again! I really really would like to add coconut milk to my soaps. Any information is appreciated! Hi Angelica and happy to help 🙂 Coconut milk can be used to replace part of the water content of most recipes — 1/3 of the water content or less is best. You’d add the liquid coconut milk at ‘Trace’. Powdered coconut milk can also be added at Trace but I’d pre-mix it in a little water beforehand. Just to make sure it doesn’t cause any lumps in your recipe. Hi, I love your soaps! So beautiful and perfect. May I ask which mold you use as your soaps are soooo perfect, love them. Thank you! I use various moulds but most of them are silicone. I am looking for a melt and pour recipe using Tallow and other essential oils for scent and therapeutic values…do you have any suggestions? Hello, I am new to soapmaking and I am enjoying your page. Learning a lot. So anxious to make my first soap! Question about coconut oil. We buy organic, virgin, cold pressed unrefined for cooking. For soap can it be the refined type since flavor doesn’t matter? OR do we need the same one we eat. Also, I bought some wonderful lavender soap that had some type of needles or plant things in it, so it is a little exfoliate. I don’t think it was lavender flowers, but maybe? Thoughts on what to use? I am also wondering about the sodium lactate. I saw some on Amazon that appears to be a powder. How would that be used..would the diluted water have to be counted in the total mixture , and how much water is needed to dilute /mix it? Thank you for the awesome resources! Nice tutorial with great information about soapmaking. I would love to try it someday. Natural and no harmful. Very useful. Can you pls share the homemade conditioner? This is going to be great! My first soap recipe. Wish me luck! Thank you for this post! my daughter and I are interested in starting this as a hobby together and you explain everything perfectly! You’re so welcome Jackie 🙂 Happy soaping! I really want to do this. I currently buy tree tea oil soap but it only lasts about a week and costs me £2. Making my own I would like to use tree oil and aloe vera as I have a lot of this in the house. Would you recommend buying a kit to start off? Hi Tanya. I tried making the honey and oats soap recipe of yours. There was a problem though. Because of the monsoon season and lots of rain this year my soap doesnt harden even after 48 hrs in the mold.And also it sweats. Please give sme solution. Thanks. Hi Arefa — even with Monsoon weather your soap should have hardened. Try again and make sure that all of your ingredients are weighed properly — it sounds like you have too much oil in the soap you’ve made. Nice article , would like your advice on what could I substitute sls powder with for pedicure bath bombs since it’s a main ingredient to form bubbles.SLSA is not available here . I would like to keep the ingredients as natural as possible but soap bombs are more popular for the effects. Thanks in advance . Hi Meera, I’m not aware of any natural ingredients that you can use to create bubbles like SLS. Neither SLSA or SLES are natural either. Great post, thank you for sharing this great tip, I am very grateful to have clarified all my doubts and it was of great help for me to continue to move in my learning process. Hallo Tanya.I leave in south Africa.we have a lot of aloe vera plant.l do bodyscrubs and add it to aguas cream.I would really appreciate if you can help me with a soap recipe please. I have really found your articles very useful and simple to understand. However, I am having difficulty finding lye in the UK, is there a specific website you can please direct me to apart from the US site? Hi, I am interested to learn, how to make soap, can you help me with the list of all the ingredients that matters in making soap, then the quantity as a first beginner please. I found this information on pinInterest and it is very useful. Im a beginner to soapmaking and the information your presented on oils, additives and curing is encouraging. Thanks again and I look forward to your newsletters. Thanks a lot for the great info! That is really helpful. About the scent fixers, did you tried all that you listed? Which ones work best? Do you use more than one together? I’ve tried them all (not together though) and my favourite is Orris Root Powder. I make a lot of floral essential oil soaps though and the scent works well with them. I read great things about kaolin clay. Did you use it? How does it compare with Orris Root Powder? How much do you use it of Orris? Thank a lot again! I don’t use Kaolin but yes, it should also be on the list. The rule for usage is 1 Tablespoon of Kaolin per pound (454g) of oil. And how much of Orris do you use? One teaspoon per pound (454g) of oil. Thank you all the information you released about Soap making, am a new starter in soap making, this information will help alot. Thank you and God bless you. You’re very welcome Francis — happy soaping! Thanks so much for your information on making soap. I just begun this adventure and your information was very helpful. I made my first batch yesterday! Tanya, Thanks for valuable information, Tanya i would like to start soap making for business purpose, As this is my first attempt, so i would like to ask a few queries, Because you are very talented and very much experienced..
Tanya, At initial stage what would be safe to use Lye or Melt pour soap base, If you are going to suggest Melt pour soap base, then please let us know can we add Olive oil, coconut oil or any essential oil to this soap base…, Should we add essential oils, if yes then let us know Proper %ge of oils. If you are going to suggest Lye, then also we need proper formulation to make a good soap. Respected Tanya, I know it would be tough for you to explain formulation due to your busy schedule, But this is my request to share a few perfect recipes with us, At initial stage we need your kind support and co operation, Without this we cant get success. Hi. I think I found what I have been looking for! The ‘problem’ is that I don’t have the time to begin by playing with all these magical options. Somewhere in this wonderful post I read that you also offer classes. I think that’s exactly what I am looking for. I can explain my ‘rush’ later. Good story. I live in the USA, my daughter lives near Eastbourne, UK. I would love to come and have fun with this. Please send me more information, and thank you for your excellently designed and written article! I’ve made quite a few batches of soap now! It’s been very fun learning so much as I go! I do have one question. I am putting oats and all of my soap however I’m still seen the scent fade. In your opinion, which is the best scent fixer you have used? Are you using citrusy essential oils – lemon, orange, lemongrass? Tanya, I have a soap-making question for you. I have made several batches (both hot and cold approaches) and the end product is usable; however the texture tends to be gritty, a bit dry, and it crumbles easily. Do you have any thoughts about what I can do to improve the end product? Thanks so much!! Would you send me the recipe you’re using? It might also be that you’re using sugars in your soap – either milk, honey, or something else? Too much sugar can mean crumbly soap. Tanya, here is a link to the site where I obtained my recipe. I have never used sugars in my soap (only EVOO and coconut oil). I have used this recipe for both hot and cold processes as well. Most recently I added some extra water at the end of the process (hot process), which helped (but only a little). Thanks again for your thoughts. Hi Glenn and thanks for passing on the recipe. It’s all based on volume measurements and not weight so I’d never use it personally. Not unless I weighed it all out and put it into the SoapCalc to make sure it’s ok.
Ok, Tanya I will simply try your approach and let you know how it goes. Thanks again!! Yes, please do and good luck! Also, one question: Why is it that volume measurements aren’t as good? I’m not sure I understand this point you have made. Thanks. They’re just too inexact – soapmaking is more chemistry than cooking and precise measurements are required. I want to use calendula powder in my soap recipe 1kg, how much powder should I use? I have used petals infused in oil but this has not produced a colour no matter how long I leave them infusing. Thank you for all the information on your website, very interesting. My first soap batch was your daffodil recipe, it was very successful. Thank you. Hi Lesley and really pleased my soap making tips are helping you out 🙂 First of all, there are several shades of Calendula ranging from yellow to bright orange. You need the vibrant orange ones to provide colour in your infused oil. If you’re going to use the powder then keep it down to roughly 1-3% of your recipe. For a 1kg batch that would be 10-30g. Just note that using powder or chopped petals will likely leave orangey specks in your soap. I Apply homemade soap but i got pimples is it save if i make my self ? Hi there – this is such a fab read, Thank you. Quick question – how would you determine the shelf life of soap and hand made cosmetic products whether that’s just for yourself or for selling? Hi Helen! For products with water content it’s very specific to how long the preservative lasts. After that, bacteria can begin to grow and no one wants that! For soap, balms, and bath fizzies (and any other product without a water content) it’s the closest expiry date of the ingredients you used. If you use coconut oil that’s best by next month then commercially that’s your use-by date. As for making products for yourself, you can be more flexible with non-water based products. Thank you so much for posting this detailed article! I have been wanting to make soap for such a long time, but have been intimidated by the lack of information and know how. After reading, I think I’m finally ready to five it a shot! Love this! I have been using Bulk Apothecary (http://www.bulkapothecary.com/categories/soap-making-supplies.html) for my soap making supplies. I see you use NOW quite a bit. What is the reason behind that? Thank you. Love the blog and soap you make. I use Bulk apothecary (http://www.bulkapothecary.com/categories/soap-making-supplies.html ) supplies for soap making. Is that what you use? If not what do you use? Your ingredient list is wonderful! Thank you for sharing. I have several that I have purchased from http://www.bulkapothecary.com/categories/soap-making-supplies.html. the prices and quality are fantastic. May I ask who you get your supplies from? A variety of online and retail shops here in Britain – the USA has far more places to buy them though! Amazingly thorough article. I’ve always wanted to try soap making, but never found the time. Maybe it’s time I give it a try. Are there any oils or ingredients you’d recommend to prevent dry skin / help with Eczema? Shea butter and Cocoa butter added as superfatting oils would be very beneficial! What percentage of benzoin oil is recommended for anchoring the scent of essential oils? Are we mixing it with the EOs before adding to the soap batter? Please chime in anyone and thanks in advance. I prefer using Orris Root Powder personally – if you do head down the route of Benzoin oil then yes, add it with the other essential oils and use just a small percentage – less than <1% of your entire recipe. Hi!! I am a soap making newbie and have found your posts so very helpful!! Where do you buy your lye? Through an online retailer. For the small scale soap maker, I’d recommend you check out reputable sellers on Ebay or google a cosmetic supplier in your area. They’ll most likely have it on offer too. You have a lovely website and a wealth of information on soap making..thank you for taking the time to share your passion! I’ve only just recently ventured into soap making myself and I have been really enjoying it. Like you, I too would like to keep my soaps as natural as possible, by sticking to herbs and roots for colour and essential oils for fragrance, but I was wondering about the benefits of using cold-pressed oils vs refined oils in soap making. I have actually been searching online for more information but I’ve come up with information that goes both ways, so I thought I’d ask you–what are your thoughts on it? I’m inclined to use cold-pressed oils in my soaps as well as that’s what I use in my food and I feel that there must be some effect of the chemicals used in refining on the end product, even if the oils are converted to soap at the end. Am I wrong? Would love to hear what you think. Thanks! I lean towards the idea that cold-pressed oils should be used in skincare products and home cuisine that don’t require heat to make. You see, when you make a batch of soap the oils can reach such high temperatures both before you mix the oils into the lye and then afterwards when they’re in the mould that many of the benefits of cold-pressed oil are lost. An exception would be in adding them into your batch at the very end as a ‘Superfatting oil’ and then not insulating the soap when it’s moulded. These steps could help keep the integrity of the oils more intact. Hello. Do you have a source for buying Palm oil that is certified sustainable? I do but the source is UK based. Are you in the UK? I am thinking of giving soap making a go and wonder if you have ever tried using Emu Oil in your process? When going through radiation treatment, emu oil was wonderful for my “burned” skin and I thought it might work well in a soap. What are your thoughts? what is soap ingredient to remove the irritation from the skin ? There isn’t such a thing…you have to cure the soap for about a month before the PH is safe enough to use on your skin. I use cooking oil and KOH to cook detergent. 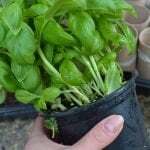 It is easier than looking around for safe detergent for garden veg irrigation. If you use hard water for washing, you can add 15 – 45 % mono potassium phosphate as hard water softener (also a PH buffer). To make it a shampoo just add a bit more olive oil to tip over a bit the PH. I never put anything unnecessary into my detergent, not even natural fragrance or colour, because whatever I add in will finally get into my garden soil, get into my veg then get into my stomach. I like washing cloths by stamping in a basin, it is quicker and cleaner and not hurting the fabric. Also I recommend using sea water for cooking seasoning instead of salt, you need all elements in the ocean (what is the proportion? The element proportion in your body are nearly the same as they are in the environment as scientist found) but not only sodium. Make your own drinking water by breaking lava rock and sediment rock and soak them in collected rain water. When your urine stinks, your blood PH is no good, when your body fluid PH is good, your urine will not smelly. Keeping your mouth fresh and odourless by using tooth pick to scrape your teeth, never use tooth paste (it wear out your teeth surface layer and unbalance the microbes that make your mouth stink). Natural and healthy teeth are ivory coloured but not white. Never use mouth rinsing water which will cause your mouth smelly worse only, bacteria would not make your mouth stink, but unbalanced bacteria make your mouth stink. I use 2 natural gas fermenter as septic tank which is a closed system never leak out into environment, when one is filling the other is maturing. Gas for cooking, the matured sediment for fertiliser in garden. The important thing is never let any unhealthy and unnatural stuff gets into your septic system in the first place. As a general principle, get rid of all your household chemical products. Air deodorant, disinfectant, bleach, hair dye, insecticide, etc. they are all unnecessary waste of natural resources and harmful pollutants to a home and the environment. The so called modern life style makes us sick, makes environment sick, the rat race of making money and getting rich is fundamentally contradictory to sustainability. Use as little as possible natural resources but contribute as much as possible effective information that is my understanding of a good Earth villager. That is the only way to reach future. Green life is good life. It is a real civilised life. Want to hear other’s opinions. I love your passion for making your own products and wiliness to teach it to others. You are a woman after my own heart! I have been searching for tips about making natural soap, I must say that this is a very very clear explanation of all the ingredients and their "functions" in the soap. The round soaps with the swirls that are in the photo are lovely. May I ask where you got the mold? Thanks in advance. I bought them a few years ago online but can't remember the UK retailer's name.. Sorry! If soaping with oils that have a short shelf life, will ROE/GE help? What percentage is used? if the oil has a shelf life of say 3 months, how much more shelf life will it increase? I was searching for some homepage soap recipes today when I came across ( download stardoll cheats). 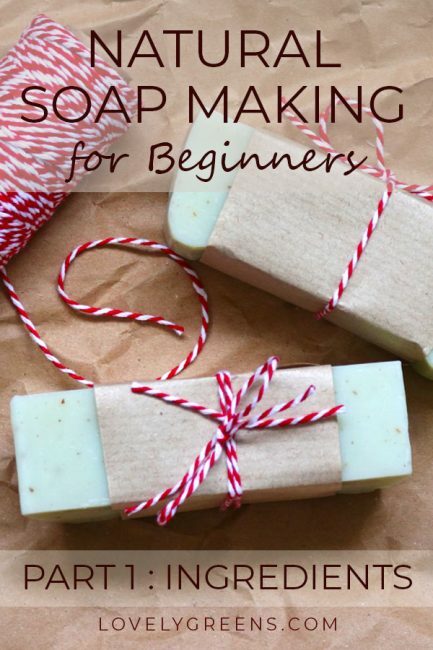 Actually, I just launched a guide that teaches people how to make luxury soaps at home. I usually charge $X, but I’d be more than happy to send it over to you on the house. All I’d ask is that you’d consider mentioning it on your blog or writing a review. Where do I find a link to your guide? Thank you very much for such clear information. I like it that for each ingredient you have explained Why we use it and the alternatives. My son has a very very sensitive skin and the other day I was checking in the shops to see if I could find a soap for his skin. The lady in the shop told me that she too has a sensitive skin and she uses soap that does not have bubbles because it is for sensitive skin. Now, I have made soap before (5 years ago), my eldest son picked making soap (the cold method) as his science project. I remember we read somewhere that it was the oils that gave the bubbles. So as the lady was talking I decided at the back on my mind that I will just make soap for him. I needed a place to do reviews before proceeding with the actual making of the soap. Your blog has just provided that, thank you. Hi Pauline 🙂 The problem with the 'bubbles' probably has more to do with using SLS (sodium laurel/laureth sulfate) in soaps rather than bubbles produced by natural soap. If you steer clear of products with SLS/SLES then I think your son should be fine. These artificial ingredients are added to increase lather and bubbles but many people are sensitive to them. You have some great soap making info on here for us beginners, thank you for sharing! You say here that one must be prepared for dried botanicals to go black and I have experienced this already….the ones you show here though are like so many I do see though – they do have petals on them. I see them on Ebay and really would love to be able to do the same. Is there a secret to successful using of them ? The secret to using botanicals like lavender, rose petals, chamomile, and other flowers is to sprinkle them on top rather than incorporate them into your soap. On top, they will brown a little where they touch the soap but the untouched parts will generally remain colourful. I love creating skin care products at home… My anti fungal soap making is incomplete without all natural ingredients like essential oils ,they have beneficial qualities. Thank you for posting the Canadian site. I have been looking for one. Tonya, thanks so much for all this advice and help. Do you have any advice on how to get tea scents to come out of soaps? Tea scents? I'm not sure that I understand your question. Can anyone help…I have tried beats for a red/pink color it looked lovely but my soap did not come out colored is thre a time or temperature problem? Thanks for the interesting and informative article. I'm considering soap-making as a future project. I look forward to reading the rest of the series. I've been looking to eliminate harsh chemicals from my personal care products for a while and I was just wondering if this same process would produce something that would work as a shampoo as well as soap. I'm certainly going to try it anyways, but if I can clean my hair with the result- bonus! Exciting to see you extracting your first batch of honey, how did you enjoy it? Hopefully I will be doing this next year!! Did you get your hive that was being aggressive sorted out?? It looks like you have had bountiful harvests from your allotment his year!! Your latest show photos were great, I think it's great how these things are still so well attended on your little island, I wish my village would learn a thing or two from you, community spirit is seriously lacking in my neck of the woods these days!! Finally! Soap Making guidelines from a reliable source. Thanks so much. A very informative post. I look forward to the next ones! I use a combination of coconut, olive (pomace) and canola oil. Tanya's soap is wonderful, it really smelled good and I used it and guess what, it lathers up nicely and cleans your hands, it was a luxury for me! I had trouble getting lye a while back because the meth labs bought it up as apparently it is used to make the illegal drug. They used to make lye from wood ashes but I have never tried that though I have buckets of them in the winter. Sodium Hydroxide can be purchased online if you have trouble locating it in your area. Creating your own from wood ashes isn't really recommended since you can't accurately gauge the strength of the liquid (which btw is Potassium Hydroxide rather than Sodium Hydroxide). Going down this route could lead to some pretty harsh soap! I learned a lot from your site. It is great feeling now I can play my liquid soap making. I use cooking oil and KOH to cook detergent. It is easier than looking around for safe detergent for garden veg irrigation (you have no control what they put in). If you use hard water for washing, you can add mono potassium phosphate as a PH buffer (similar use and amount as borax, used here as a substitute of borax). Add a little bit of milk seems help to emulsify the paste especially when you use some olive oil. To make it a shampoo just adds a bit more milk. There is nothing can be wasted in the game of soap making. The worst scenario is you made the paste water hating wax (I did it by adding way too much mono potassium phosphate); but even that can be rescued by putting a couple of table spoon of KOH IN 1 kg of soft water and heat it up then add the wax bit by bit into the solution and mix them up. Add a bit of (1 %) milk seems help it emulsify. Fine tuning the paste (by adding the wax bit by bit) until the PH reaches 8 to 8.5. Done. Good as new. The separated water solution I keep it as fertiliser for garden). I never put anything unnecessary into my detergent. I like washing cloths by stamping in a basin, it is quicker (15 minutes) and cleaner and not hurting the fabric. Also I recommend using sea water for cooking seasoning instead of salt, you need all elements in the ocean (what is the proportion? The element proportion in your body are nearly the same as they are in the environment as scientist found. We are not only made of star dust but also the proportion of the star dust) but not only sodium (don’t call it table salt, call it poison). Make your own drinking water by breaking lava rock and sediment rock and soak them in collected rain water. The main source of minerals you take in is by drinking water but not by food. When your urine stinks, your blood PH is no good, when your body fluid PH is good, your urine will not smelly. Keeping your mouth fresh and odourless by using tooth pick to scrape your teeth, never use tooth paste (it wear out your teeth surface layer and unbalance the microbes that make your mouth stink). Natural and healthy teeth are ivory coloured but not white. Teeth grow layer by layer from outside just like clam grow its shell or pearl). Leave it natural (and do not drink “drinks”), your teeth can heal small damages by itself just like a clam will do to its shells. Never use mouth rinsing water which will cause your mouth smell worse only, bacteria would not make your mouth stink, but unbalanced bacteria make your mouth stink. Naturally secreted oil on your skin and hair are the first line of defence, if just dust and sweat, rinse it with rain water it will be shine and smooth. What ruin your skin and hair is those tap water, shampoo and conditioners. I use 2 natural gas fermenter (imported poly gas fermenter tank for $ 500 each) as septic tank which is a closed system never leak out into environment, when one is filling the other is maturing. 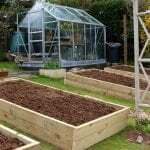 Gas for cooking, the matured sediment and liquid for fertiliser in garden. The important thing is never let any unhealthy and unnatural stuff gets into your septic system in the first place. As a general principle, get rid of all your household chemical products. Air deodorant, disinfectant, bleach, hair dye, insecticide, etc. they are all unnecessary waste of natural resources and harmful pollutants to a home and the environment. The so called modern life style makes us sick, makes environment sick, the rat race of making money and getting rich is fundamentally contradictory to sustainability. Use as little as possible natural resources but contribute as much as possible effective information that is my understanding of a good Earth villager. That is the only way to reach future. Green life is good life. It is a real civilised life. Want to hear other’s opinions. thanks for such an informative article. however , i have some queries regarding soap sweating how can we prevent it . can essential oils or ingridents such as honey or shea butter cures sweating in soap. can the chemicals such as sodium benzoate, zinc oxide or titanium dioxide helps to cure this issue. please, reply as early as possible. Hi SMIT, sweating in soap happens mainly because of humidity. If you’re making soap in a hot and humid climate then it’s bound to happen and there’s really not much you can do to fix your current soaps. You could try re-batching them? As for future batches, think about investing in a dehumidifier for your soaping area. I am having a ball making my own soap and other spa products using www-dot-MakeYourSpa-dot-info …. I’m making all sorts of things for friends! It’s great for learning how to make luxurious spa products at home immediately and it’s easy 🙂 I save a lot of money not going to the spa and the products are exactly the same, if not better. I have used my friends and family to try out the products I’ve made and they have been absolutely delighted! I’m thoroughly enjoying working my way through the recipes and then adjusting them to my own design. I really wish I had started this years ago.